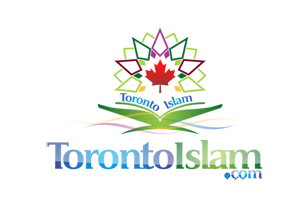 TorontoIslam.com - GTA's # 1 Islamic Source for Mosques/Masjids, Islamic Schools and Halal Farms. TorontoIslam.com provides you a comprehensive guide to Islamic Schools in and around GTA. We also have User reviews, EQOA and Fraser Institute ratings so you can compare. If you have a feedback for one of the institute or school, do not forget to provide it for fellow brothers and sisters. Help yourself by helping others! You can either browse through the list or you can search for a school through the search above. he Greater Toronto Area has one of the most ethnically diverse Muslim communities in the World and it is continuously expanding. According to Canada's 2011 National Household Survey, there were 1,053,945 Muslims in Canada or about 3.2% of the population, making them the second largest religion after Christianity. In the Greater Toronto Area (GTA), 7.7% of the population is Muslim, and in Greater Montreal, Muslims are 6% of the total population. Hence Muslim Population in GTA during 2011 was 494,186 which is growing every year rapidly. Surely now it much more than 550,000. With growing population the need for Islamic Centers, Muslim Schools and businesses that support Islamic way of life has increased too. GTA house some of very prominent Mosques and well established Schools in Canada. Many programs and events are organized under these Islamic bodies. alal is the Arabic word for permissible, and in dietary law it is used to refer to foods that are permitted for Muslims to eat. This usually means that meat comes from animals that have been slaughtered in accordance with the dictates of Islamic law. The Need to eat hand slaughtered halal meat has created a big demand of Muslim Farms. On Eid-Ul-Adha, Muslim prefer to slaughter their animals themselves. Although you can also give money to various Muslim Meat shop and they can arrange Qurbani for you. TorontoIslam is dedicated to provide you information that you need to fulfill your duties as a Muslim in Canada. Here we have organized list of Many Islamic Center, Muslim Schools, and Muslim farms in and around GTA as well as other provinces and Cities that have seen increase in Muslim Populations in recent years. In addition we have also given rating system, Pictures and Reviews so that it is easier for you to make a decision. This is a on-going effort and we will be updating this site with more in-depth surveys and reports of these facilities as time goes by. © 2019 TorontoIslam.com, All Rights Reserved.